Jay Volk in foreground and Lavonne Rolland in background plant soybeans east of CR 30 near CR 29 Saturday. Volk hoped to finish up before May 1. 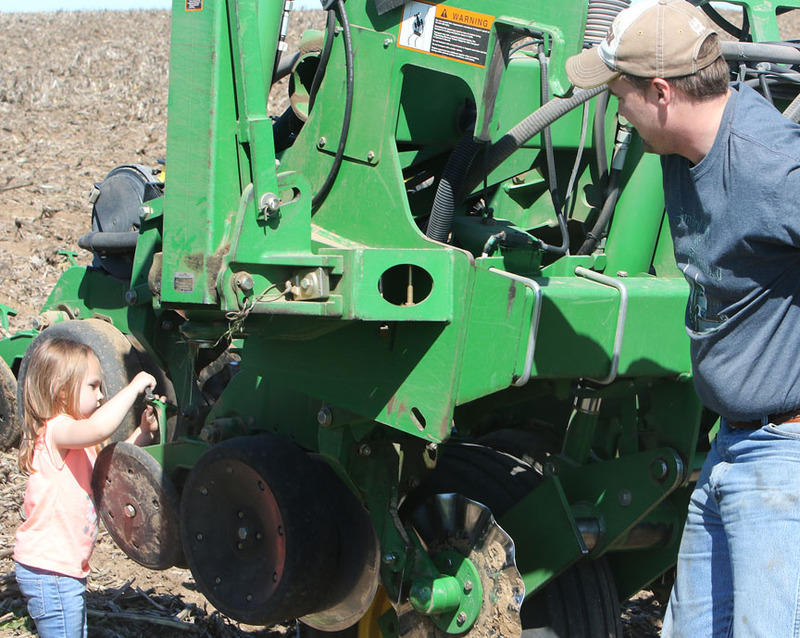 Farmers throughout the county were in the field Saturday afternoon finishing up soybean planting. 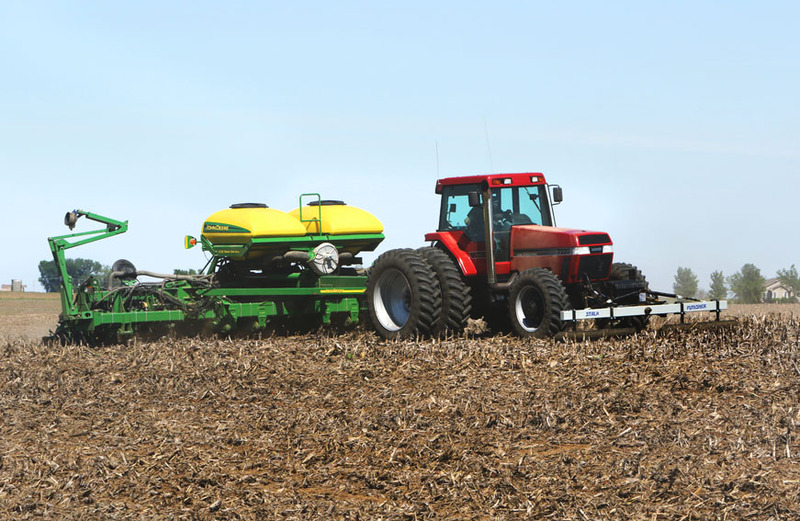 Jay Volk who was planting a field south of CR 30 said he has been trying to plant for a month, but the weather kept him out of the fields. He hoped to be finished by the end of May. 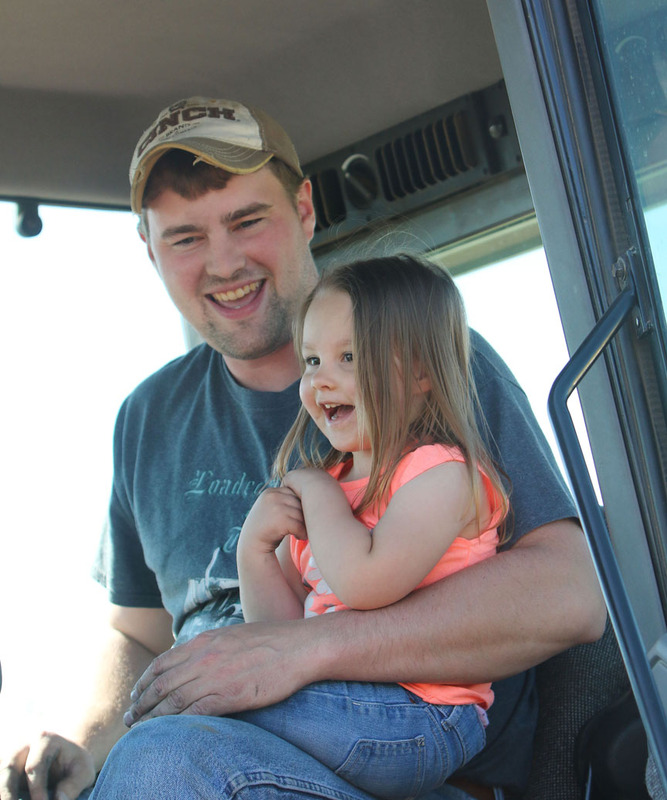 Across the road, Jarett Andersen who was making a repair on his planter was getting a hand from his three-year old daughter Hailey. Hailey told mom Ashley to stay home and Hailey would go with dad. 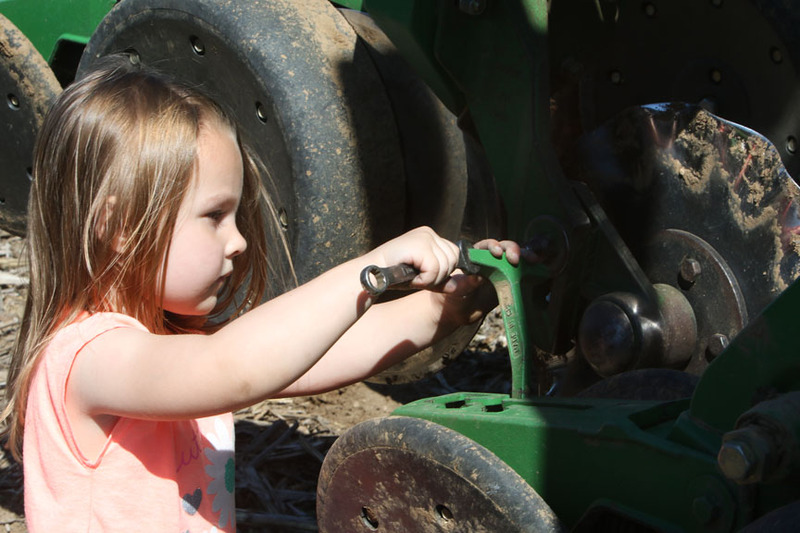 Hailey Andersen gives dad Jarrett Andersen a hand fixing the planter. 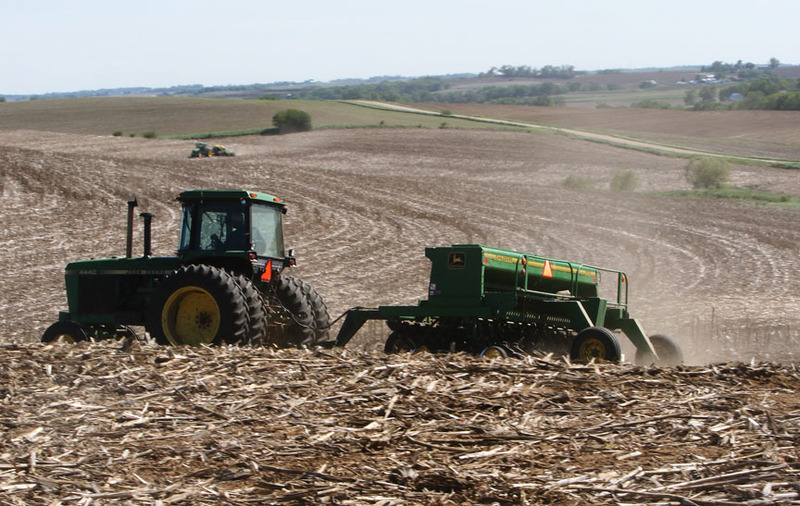 Jarett Andersen plants soybeans west of CR 29 in Washington County.